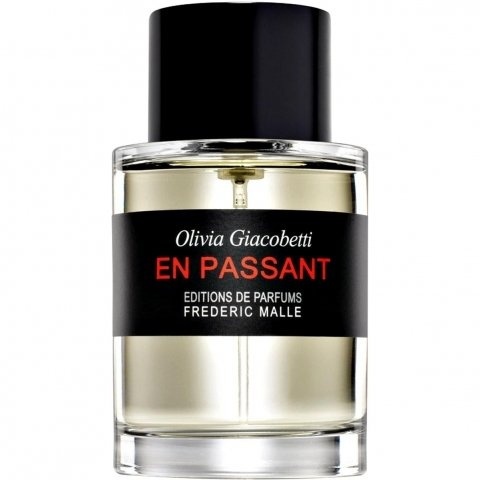 En Passant is a popular perfume by Editions de Parfums Frédéric Malle for women and men and was released in 2000. The scent is floral-fresh. It is being marketed by Estēe Lauder Companies. En passant seems to me at first very oily, very full, a concentrated floral-fresh smell flows into Augustas nose. Yes, it is authentically reminiscent of lilac, of the somewhat spicier smelling variety, in our case it is the white lilac. Some people have noticed that before me and I think it is a white lilac. The fragrance has the typical lilac smell, but with a hint of cinnamon and pepper, while the purple lilac for me this spice does not have. The watery cucumber which comes in the fragrance brings an interesting counterpoint, if one can speak of such a transparent aquatic-salady-vegetable - what is the one cucumber now actually, a pumpkin, aha - thus such a note of it. And a leaf green, so that one is in the middle of spring, but more in a painting of lilac bushes than in the lilac outside. The subtle thing about this fragrance is that it has a patina-like effect alongside the natural-authentic floral note, or there is something like sepia above the picture. This results in a magical effect, the name of the fragrance reveals itself, because it is really like passing by. Passing by the shrub and in thought. So light, lithe and dreamy. It seems white lilac sways in the wind in this airy fresh presentation. Cucumber and aquatics keep this perfect for Spring and Summer. Its not a classically green fragrance more like a morning dew feel. Elegant. En Passant is a consummate spring scent. It balances a cool, aquatic heart with soil-like accents to recreate the tension at the center of lilac—the crispness that doesn’t quite disguise an oily nature. I’ve seen En Passant described as muted and pastel, euphemisms for vague, washed-out fragrances, but there’s too much shadow and undertow in En Passant for it to be considered bloodless. Giacobetti might play with simplicity but she doesn’t settle for it and she doesn’t spare the cream in the recipe. The perfume is padded precisely where it needs to be. En Passant’s semblance of simplicity is a red herring, though. It might come off as spare but it conceals a sophisticated approach and becomes more detailed the closer you look. A lot has been made of the perfume’s cucumber and wheat notes, how they modulate the central floral accord and keep it from becoming too sweet, too simple. It’s true that the accord is unexpected. And it’s remarkably effective in creating the detail that lets the perfume simultaneously portray a single flower and an entire season. But embedded in the accord like drop of ink in paper is a waxy/nutty, almost tactile facet. It widens the central floral sketch and gives the perfume’s trail weight and momentum. Depending on whom you talk with En Passant is either an essay on rain, a sort of modern descendant of Après l’Ondée, or a lilac soliflor. Impressionism or representation. Visual art terms only have ballpark accuracy when applied to perfume. Representation is tricky and the assumption that recreating ‘nature’ is perfume’s highest modality is still widespread. Giacobetti, like Roudnitska before her, challenged the premise. His answer to the question of how perfume relates to nature was to compose a detailed muguet soliflor still life. From her fig perfumes for Diptyque and l’Artisan Parfumeur to her carrots, irises and roses Giacobetti offers a succession of solutions to Roudnitska’s question, as if to imply that there are at least as many explanations as there are subjects. With En Passant, she creates a faithful lilac soliflor at the same time that she offers a more upbeat vision of a rainy day than Jacques Guerlain’s. It’s a fantastic accomplishment for a seemingly simple lilac soliflor. Had no idea I liked lilac until I smelled En Passant at a counter. Rice and wheat do the same thing here that they often do in cooking--provide a solid base for other ingredients. Cucumber lends freshness and the orange leaf a hint of green, but lilac is what this perfume is about. I find En Passant entrancing. It's the only Malle that captivated me at the counter, since I already had Une Rose. Le Parfum de Therese didn't interest me at the time. It had to grow on me and it did, but so far it hasn't surpassed En Passant, which delights my nose anew whenever I spray it on. Not much else to say about this fragrance. It projects. It lasts fairly long. For me it's a sultry beauty. If you like Lilac, it may capture you, too. En Passant opens with a big blast of lilac, and uses cucumber as a weak supporting note (I don't get any of the wheat or orange leaf notes at all). The lilac pretty much dominates from start to finish and I really don't get much of anything else after the opening. Longevity is below average, and projection is average. En Passant is very "feminine" smelling, and probably would smell better on a lady, but I confess that I have discovered I just don't like the smell of lilac much after wearing this one... If you love lilac, then I can easily recommend En Passant without any reservation (just be prepared to touch up frequently)... If not, my advice is to steer clear. A weak neutral from me at 2.5 stars out of 5. The lilacs are nice but over done in my opinion, on the edge of cloying and a bit artificial. I could never wear this in warm weather. Is there a little white floral (LOV, lily) in here? :( White florals often don't agree with me, and that summarizes my wear of EP - lilac with white florals on top. The drydown is nice but common & too soft, imo. Overall, EP is a good Springtime scent but is worn best during the doldrums of Winter. Want something similar at a fraction of the price with longer wear? Get Yankee Candle's lilac fragrance spray or fragrance oil - $7 each. It's a truer lilac at a fraction of the price. Layer it with a Jovan musk to capture the EP experience. Frédéric Malle EN PASSANT is a lovely lilac soliflore with a slightly green side. I find this composition very similar in spirit (although the flowers are obviously very different) to nineteenth-century violet soliflores such as Berdoues VIOLETTES DE TOULOUSE, Borsari VIOLETTA DI PARMA and the Molinard VIOLETTE. Very simple yet satisfying. The closest lilac perfume to EN PASSANT is probably Ineke AFTER MY OWN HEART. The Ineke, however, is more resinous and perfumey--less like a bunch of rainwater-washed lilacs. At the same time, the lilac note is quite a bit more resilient, surviving all the way to the drydown and making the Ineke a better choice, it seems to me. It's almost as though the Ineke drydown faithfully reproduces the beautiful but shortlived opening of EN PASSANT. Write the first Review for En Passant!